It's time to rev up the engines and get ready for the best Hot Wheels party ever! The Hot Wheels Bouncer will fuel the fun and supercharge your party! 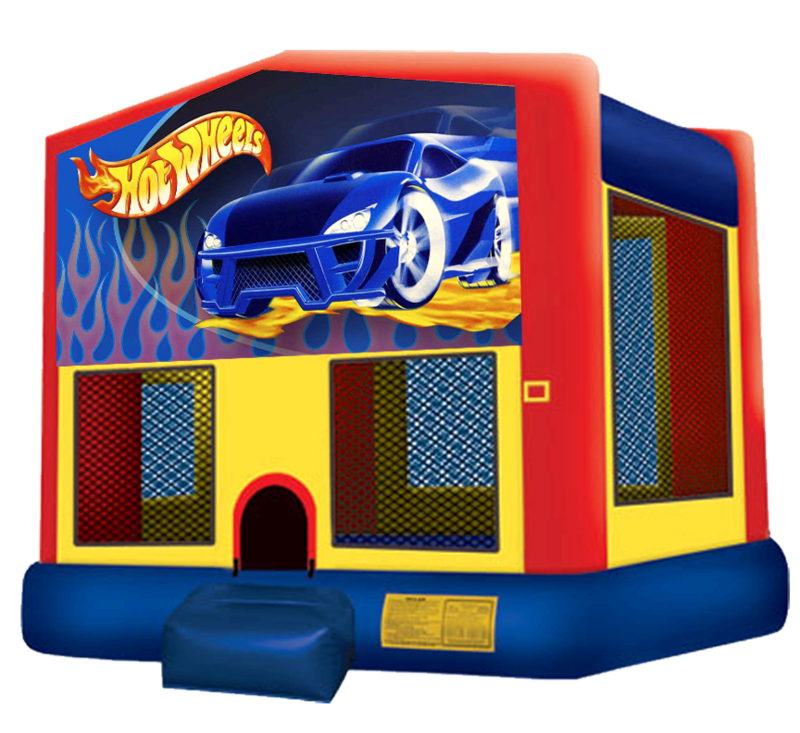 This Hot Wheels Bouncer features a safety step for easy access, oversized knotless netted windows for easy visability and great airflow, and heavy duty lead free fire resistant vinyl the ultimate peace of mind while your kiddos have a blast. Delivered clean and on-time, every time. This rental also great for racecar parties, NASCAR parties and Fast & Furious parties.